A Second Act For The Uptown Theater? 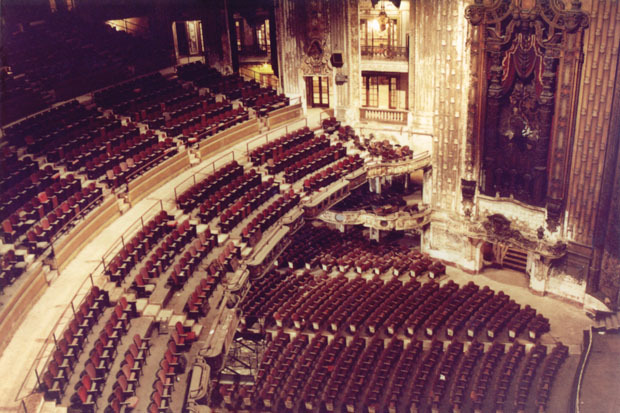 Chicago's Uptown Theater advertised itself as having an acre of seats. Farija Wajid, who asked this question. Suggestions from our survey on how to best repurpose the Uptown Theater. Click to view all of them! A photo from June 1990 shows the interior of the Uptown Theater. Click to enlarge. Editor&apos;s note: The podcast version of this story includes an excerpt of a story about whose eyes inspired the iconic logo of the Chicago International Film Festival. Our archived story about the logo includes a full interview with CIFF founder and logo-designer Michael Kutza. Enjoy! How can we repurpose the Uptown Theater? 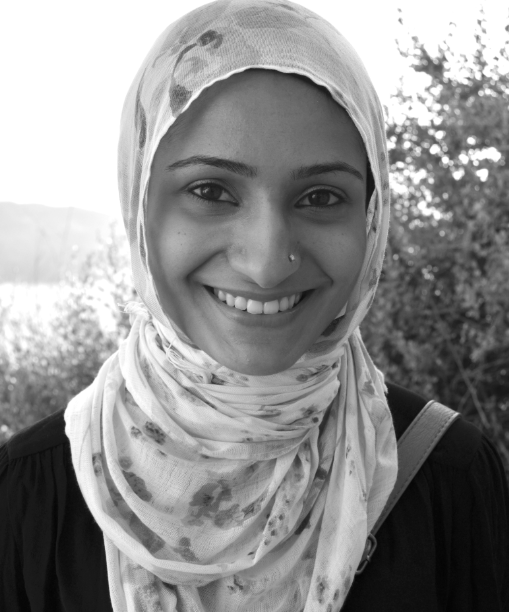 Fariha wanted to hear what outside-the-box ideas the Uptown community had. But before we start exploring the theater’s future, it helps to know about its past. “At that time an acre of seats told you there would be a seat for you,” explained Andy Pierce of Friends of the Uptown Theater, a group dedicated to preserving the Uptown. During its first decade or so, a typical program included an organ performance, orchestral interlude, live dance, comedy show and movie. At the time, there weren’t many competing sources of entertainment, so as long as the theater could keep a show on the stage, it could keep people coming in the doors. For matinees, the theater also offered tea service. Eventually that stopped, but high quality acts kept coming through, such as musical performances from the likes of Duke Ellington, Benny Goodman and Bing Crosby. But as more people bought TVs in the 1950s, the Uptown struggled to gain audiences. For a time, the popular game show Queen for a Day filmed there for one week every year, hosting live audiences. The theater even showed occasional screenings of Chicago Bears football games. By the 1970s, however, the single-screen theater model was dead — audiences expected more choices when they went to the movies. In 1975, there was a final push for major musical acts at the Uptown, including Bruce Springsteen, Prince, and The Grateful Dead. But the theater’s palatial interior was crumbling and became too expensive to maintain. Finally, the Uptown Theater hosted its final show in 1981: the J. Geils Band. It’s been vacant ever since but crowds of music lovers still flock to the neighborhood for other venues like the Riviera and the Aragon. A second act for the Uptown? Fariha Wajid stumbled on the Uptown Theater just this year, while doing her final project for a class at IIT. “During my architectural studio course last semester, I was assigned the Uptown neighborhood and the Uptown Theater kept coming up,” she said. Wajid put together her own proposal to reuse the Uptown after some research. The main auditorium would still be used for concerts and theater, but she envisions turning the lobbies and other auxiliary spaces into a skills-sharing center. For example, if Uptown residents want to teach each other cooking, painting or performance arts, the theater could be a common meeting space. But she also wanted to hear what ideas the Uptown community would find useful. Together, we did an informal survey of passersby in front of the theater. “Cinema or movie house,” suggested Massis Antranik Ohanesian, 44, an Uptown resident. “I would love to see a winter farmer’s market here,” said Bryan McClaren, 29, a sous-chef at Crew Restaurant just a few doors down from the theater. “Concerts, movies, art,” he added. We also solicited ideas online and got plenty of suggestions back. Some were a little off-the-wall, such as suggestions to turn the theater into a parking garage or an indoor paintball park. 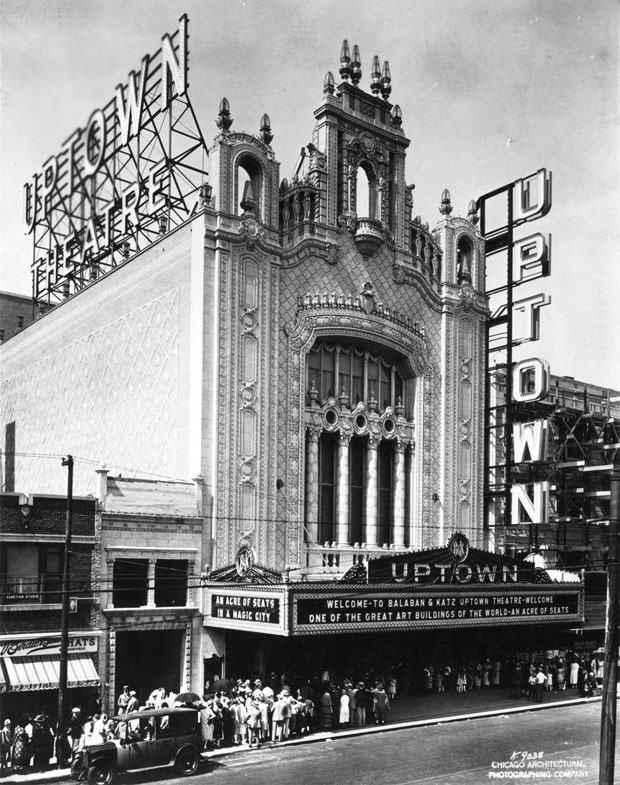 But by far the most popular notion was to restore the Uptown for live events, or turn it into a movie house for classics, foreign and indie films. Lots of people suggested modeling it after Lakeview’s Music Box Theater. But Dave Jennings, General Manager of the Music Box Theater, says what worked for his venue might not work for the Uptown. Jennings said audiences that small won’t cover the cost of lighting, heating and ventilating the enormous space of the Uptown Theater. That’s why Andy Pierce from Friends of the Uptown says the focus should be on making the Uptown Theater space as flexible as possible. Pierce said the best use will still be major, live, ticketed performances in the auditorium. But on days when there aren’t big shows, the three lobbies could be used for other activities: meetings, parties, private events, and weddings. Perhaps some space could be turned into a cafe or a brewery to bring people in throughout the day. The idea to use the Uptown as a multipurpose space was popular among those who submitted and voted online in our survey. And it’s also a key suggestion of a 2000 commissioned study by the Urban Land Institute, which highlighted the Uptown Theater as a priority project for the neighborhood’s redevelopment. “The restoration effort will need to be based on a realistic operational strategy” the report reads. “The restored theater probably will be required to accommodate more uses than were intended for the original theater.” It suggests flexible seating in the amphitheater to allow a variety of events; the ability to temporarily partition the main auditorium space to allow for smaller performances; and the ongoing use of lobbies and other auxiliary spaces for commercial purposes. Of course, the person whose ideas matter most is Jerry Mickelson of JAM Productions, who owns the Uptown. But he didn’t want to talk to us for this story. What to do with so many ideas? After hearing all the suggestions, Wajid said she plans to tweak her original design proposal. By some estimates it’ll take $70 to $100 million to restore and reopen the Uptown. The State of Illinois recently allocated $10 million, and the City of Chicago has funneled $1.37 million in TIF dollars to help stabilize the structure. Mayor Rahm Emanuel has said he wants the Uptown to some day anchor a vibrant entertainment district. As we near the Uptown’s 90th anniversary next year, lots of folks hope they’ll be able to walk into that grand lobby soon, and maybe catch a show.